Such a pretty card. 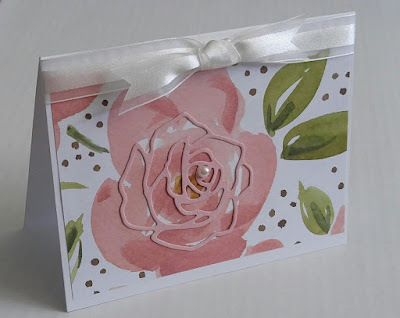 I love the delicate colours and the die cut rose over the top looks great. Hugs Mrs A. Time to make Mother's Day card? Friend's make the world a better place.